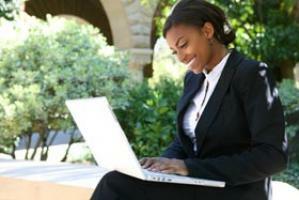 Don’t let your inability to leave your home country dissuade you from obtaining an MBA. You can still obtain the advantages of being a U.S. business school student from the comfort of your own home, where you will be exposed to the latest business practices, research and theories from experts in the field. Ultimately, holding an international MBA from an accredited American institution will transform your career and present you with opportunities that may not have been available before. Thankfully, many colleges and universities across the United States are increasingly opening their doors to international students, whether at a brick-and-mortar campus or online learning. Furthermore, American universities proactively encourage the enrollment of international students, due to the vast learning possibilities that can aggrandize the perspective of students. Since one of the distinct differences between American and foreign business schools is the diversity of choices and concentrations provided, international students can capitalize on the principles of general business management (a combination of accounting, economics, finance, marketing, ethics and statistics) and how it applies to their subspecialty. That said, one-year online MBA programs in the United States are a great opportunity to develop global contacts in one’s specific niche by demonstrating your global perspective and experience. MBA programs in the United States place a special emphasis in putting theory into practice. Even though you won’t be in a physical classroom, you will still be expected to analyze real-world case studies and business scenarios that will serve as the foundation for developing innovative strategies, business plans, budgets and more. Some professors may even require you to conduct your own independent research or work on live projects for U.S. companies. Ultimately, this degree of exposure will give you a competitive edge in your home country and elsewhere. Since an MBA is an advanced program, international students must possess a strong command of the English language. Unfortunately, poor English skills will comprise an international student’s ability to succeed on entrance exams, such as the Graduate Management Admission Test (GMAT) and the Test of English as a Foreign Language (TOEFL), as well as the program itself. Rather than deterring international students from this opportunity, some U.S. colleges and universities provide part time or full time intensive English as a Second Language (ESL) courses for students who need extra preparation. In addition, students may also choose to seek these services from private language institutions in the U.S. and across the globe. If you plan to go this route, be sure to confirm that the universities of your choice accept such credits as they need to be accredited from a national accreditation organization like the Commission on English Language Accreditation. Lastly, international students must be able to provide documentation that they have earned an undergraduate degree from an accredited university abroad. Many universities will also request that official transcripts are translated to English, if needed. In order to appropriate enough time to verify application materials, universities usually request that international students submit their documents before domestic students. While there are a plethora of other requirements that pertain to international students, they vary by university and college, meaning that each student will have to adhere to admission guidelines on a case by case basis. Briefly mentioned above, the TOEFL gauges one’s ability to understand English at the university level. An Internet-based test, and sometimes offered in written format, the TOEFL will test your ability to read, listen, speak and write in English. Conversely, the GMAT assesses one’s analytical, writing, quantitative, verbal, and reading skills. Ample preparation is strongly recommended in which each testing service of the exams offers a comprehensive preparation package to help test takers succeed. Although both tests are offered several times throughout the year in the United States, there may be limited options abroad. Refer to both tests websites to find locations and dates near you. Lastly, be sure to determine each school’s eligibility requirements regarding the range of scores they accept on these exams. Although one-year online MBA programs take less time to complete and usually cost less money, it does not make them less competitive. Since business schools in the U.S. are extremely competitive, it is best to contact your prospective schools at least a year before you intend to apply. This way, you’ll be able to find out how many spaces they have for international students within their program, and can obtain information that will help you get a head start on the application process. Regardless of what country you’re from, international students cannot receive United States government funded loans, grants, or aid programs. While some schools offer special loans or aid packages to international students, the majority of international students will have to rely on their personal finances to fund their one-year online MBA. It’s imperative to consult your prospective schools before you begin the application process to see what financial information needs to be provided, as well as which ones best fit your financial needs. With this information, you’ll be able to explore other funding options that might be available in your home country. Florida National University’s one-year online MBA offers international students a competitive edge in their home country by preparing students for positive career growth in their subspecialties of business. A mere 36 credits will equip students with the communication, problem identification, analysis, and solving skills that upper management and business developers need to adhere to today’s business world. To ensure students receive more than just an advanced general business education, FNU offers 5 distinct concentrations, which include Marketing, Finance, General Management, Health Services Administration, and Public Management and Leadership. Designed for the working professional, FNU’s program offers flexible scheduling where courses take place during the evening, hybrid or online. With only eight week terms, online MBA students are guaranteed to finish the program in a timely fashion. If you desire to stand out in your field with an online MBA degree from the United States, contact one of FNU’s advisors today to jumpstart your success!